1. Cut in mirror image (reversed image) on adhesive layer (dull side) to the PET carrier. 2. Weed the excess material and set design on desired position. 3. Heat press at 320 F (160 C) for 10 seconds and COLD peel. For home-ironing, cover with press cloth. Maximum washing time on highest temperature (140 F, 60 C) not to exceed 12 minutes. Maximum total washing time should not exceed 50 minutes. Bleach not recommend, low tumble dry. Do not use steam ironing, avoid direct contact with film and use a press cloth. Composition - PU Resin 34%, Polyurethane glue 33%, PET Film 33%. Unharmful to human body. Keep away from direct sunlight, hot and humidity.  SOFT & DELICATE - Thin and soft polyurethane heat transfer film that is light and stretchable. Adhesive sheet that is perfect for detailed artworks and weeding. Create your own logo and design, and transfer to most basic fabrics of your choice! Enjoy the project and have fun!  ECO-FRIENDLY & PROFESSIONAL WORK - PET film and polyurethane film has excellent adhesiveness, and is ideal for cutting delicate designed logo. It is an eco-friendly material, with elasticity and softness. Product is easy to handle compared to other brands, thus easy for beginner customers to use. The thickness of material is very thin, thus' easy to cut with most cutting machines. Also, PU sheets are eco-friendly than PVC sheets. Save the Earth!  DURABLE - We recommend using on COTTON, POLYESTER, COTTON/POLYESTER BLENDS, LYCRA fabric for best performance. It works on normal fabric as well as MESH TYPE fabric. Just Iron-on, and voila, your own customized DIY project on T-shirts, hats, bags, team or club wear, garments, shoes and other textiles, etc! Our heavy-duty vinyl sheets will stretch with the natural movement of your fabric and withstand numerous washings. 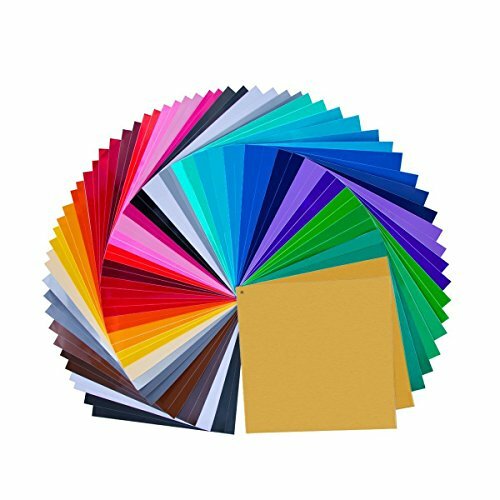  33 COLORS SET - We offer 33 different colored HTV sheets including neon colors, for your delicate color expressions and art projects. Perfect size for most artworks, 10x12. Brand: GIO-FLEX | Manufacturer: Gio-Lite Lumian Co., Ltd.
With an adhesive front that's flexible enough for a variety of uses but strong enough to stick and stay on your metal surfaces, then this is the adhesive magnetic sheet for you! use small pieces by cutting it up (easy enough to cut with scissors... and try decorative scissors for extra style) or create magnets out of images and photos as large as 8 inches by 10 inches. Stick it, cut it and you're done! You can cut to any shape or size before or after application. Then stick it to any metal surface that's safe for and accepting of magnets. It's as easy as that!! UNMATCHED PERFORMANCE! Easy to use! All you have to do is peel back the protective sheet and apply what you want. You can cut to any shape or size before or after application. Then stick it to any metal surface that's safe for magnets. It's as easy as that! FUNCTIONAL! 20 mil magnet helps you to be assured it's flexible enough for a variety of uses but strong enough to stick - FAST! Just peel the back protective paper and place your photo, it's that easy! 4 x 6 - size of standard picture. Cut easily to any size, for any project! Sold as pack of 12 Proudly Made in the USA! Having trouble finding the perfect decal? Why not make your own? With the Ohuhu Vinyl Sheet set, you'll be able to design customized decals quickly and easily. Each set comes with 60 12" x 12" sheets in 30 stunning colors! With so much variety, you'll be able to make all of your creative visions come to life. We've also included 10 transfer tapes for easy-peasy decorating. Stick your decals to walls, mugs, tumblers, cars, windows, picture frames, and so much more. The sky's the limit! The Ohuhu Vinyl Sheets are compatible with all craft cutters including machines from Cricut, Silhouette, Graphtec, Pazzles, Inspirations, Quickutz, Xyron, Craft ROBO, and more. Let your creativity shine with Ohuhu! EASY AND EFFORTLESS: A few minutes is all it takes to create stunning designs. Just create your image, insert the sheet into the cutting machine, remove the backing paper, and stick it on! STAY PUT ADHENSIVE: Don't let your hard work go to waste. The extra-strong adhesive backing will hold on tightly to any smooth surface. These vinyl sheets will withstand washing and rain for indoor and outdoor use. Notice: NOT SUIT FOR FABRIC. 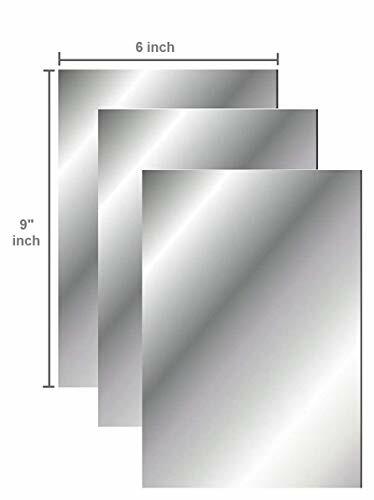 Mirror sheet adhesive peel the back sticker to stick any were back An attractive addition to any decor, this 6" x 9" Silver Trim Mirror is a useful size and gives a clear reflection. Oracal 651 Vinyl is a High Quality permanent Adhesive Backed Vinyl. This product is excellent for creating vehicle decals, stickers, letters, symbols and much more. Works great with plotters. It is very easy to use. Each roll is 12"x 10 feet. Please be advise color may differ sightly from picture, due to screen adjustments. These are cut from the roll and each sheet maybe plus or minus 0.5'. LyaVinyl is a proven brand for vinyl sheets and registered trademark in US , our mission is makes people more happy on crafts . 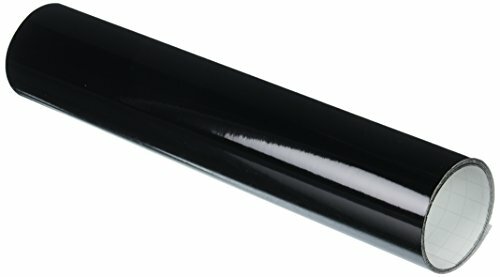 3 x Glossy Black vinyl sheets. 3 x Glossy White vinyl sheets. 3 x Silver Grey vinyl sheets. 3 x Rich Gold vinyl sheets. 2 x Candy Red, Firebrick,Wine,Orange,Fluorescent Orange, Lemon, Honey, Turquoise, Sky Blue, Blue, Electric Blue, Dark Blue, Granny Smith, Kelly Green, Forest Green, Lilac, Violet, Fossil Grey, Coffee, Chocolate, Teal, Pink, Black, White, Beige, Cyclamen, Soft Pink. 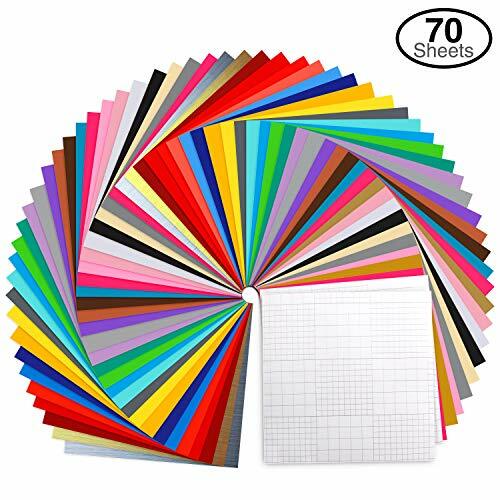 12" X 12" vinyl 68 sheets in amazing 32 different colors, 3 mil thickness . ( 3 metal colors , 2 Matt colors black and white , 27 Glossy colors ) . Check the product description for a detailed description of the colors and quantity. 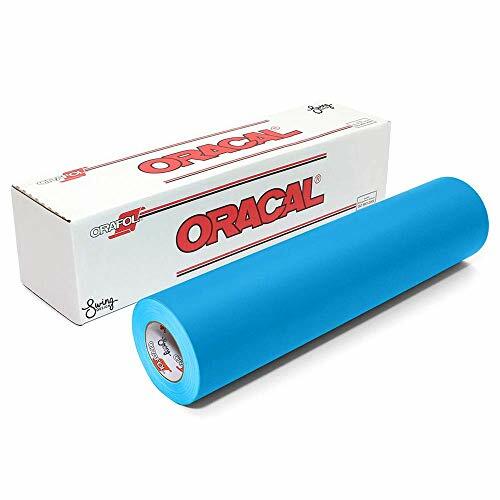 Adhesive backing and liner for Ultra easy use, No more cheap backing ruining and separating from the vinyl in the cutting process before usage. No need to endure a frustrating peeling process after cutting with this easy to peel liner. 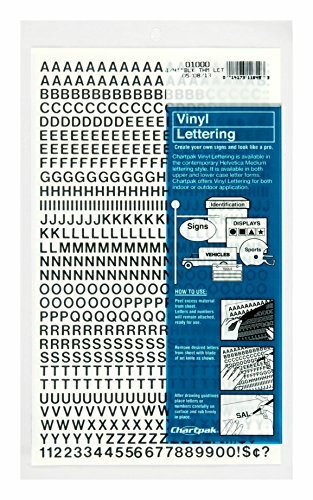 Cool Waterproof crafts vinyl sheets , Permanent Assorted Vinyl for arts , cricut, silhouette cameo,craft cutters, printers, Letters, Decals. Works with craft cutters, If you use cutting machines like the Silhouette, Graphtec, Inspirations, Xyron, Craft ROBO or other similar vinyl sheets then this definitely is the product for you. 100% Money back , Proven Quality , our vinyl sheets guaranteed to last for up to 5 years indoor and 4 years outdoors. 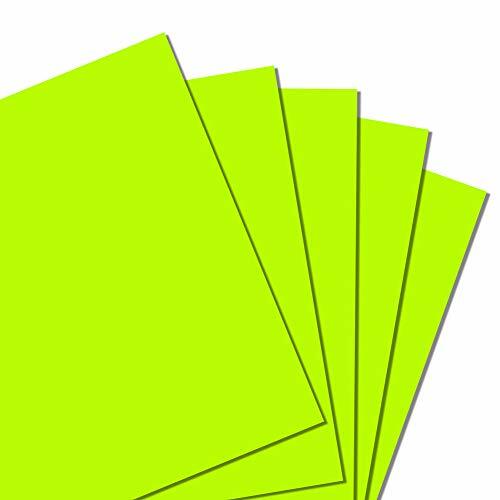 We provide various color of adhesive back sheets to match your different diy crats! HERE S YOUR BREAK AND CALL TO ACTION! If you ve experienced poor quality vinyl and had difficulties with weeding & peeling or have been dissatisfied with other brands, ProZoneArt will transform your crafting experience to one of utopia. 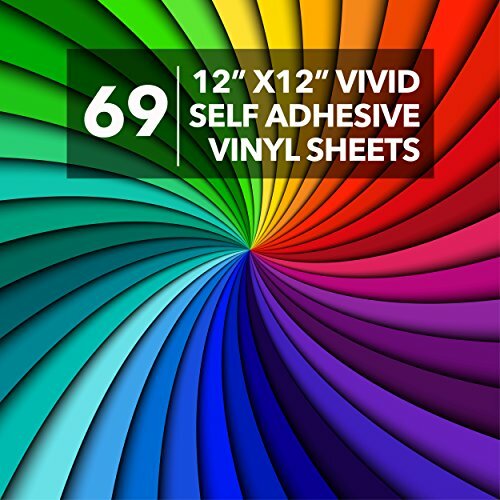 69 12x12 Premium quality permanent self adhesive vinyl sheets. 2 turquoise, 2 mint, 2 school bus yellow, 2 yellow, 2 tuscany yellow, 2 pink, 2 pastel pink, 2 hot pink, 2 tan, 2 violet, 2 lilac, 2 burgundy, 2 red, 2 ruby red, 2 brown, 2 orange, 2 pumpkin orange, 2 fluorescent orange, 2 light gray, 2 dark gray, 2 aqua blue, 2 royal blue, 2 navy blue, 2 forest green , 2 green, 2 fern green, 2 lime green, 2 hunter green. + 3 gloss black, 2 matte black, 2 gloss white, 2 matte white, 2 gold, 2 silver. Carefully packaged and shipped flat so its ready to use the moment you receive it. Our vinyl will retain its magnificent brilliance indoor or outdoor for a minimum of 5 years. You and your loved ones will enjoy countless memories creating and crafting to your hearts content while your ProZoneArt Vinyl is right there meeting and exceeding every expectation. Expect a different experience with our Vinyl sheets, no more difficulties weeding or peeling, no more bent corners and cutter feed challenges, you concentrate on enjoying your experience and we ll take care of the rest. FINALLY: You can make this purchase right now with 100% confidence because we have removed 100% of the risk! If you are dissatisfied for ANY reason contact us and we will gladly replace the product or refund your money no questions asked. 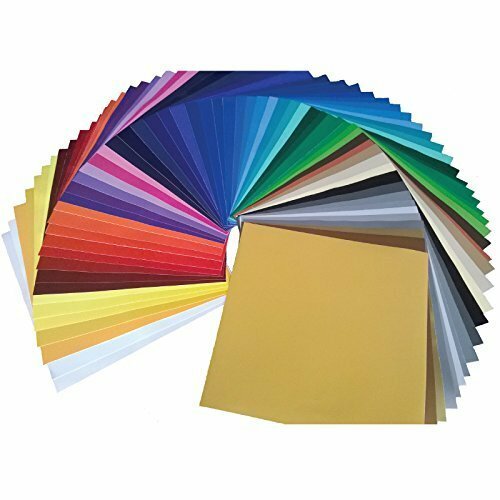 BEST VALUE ON AMAZON: If you're Looking for 12"x12" self adhesive, Premium vinyl sheets with a variety of carefully selected and most popular colors, ProZone Art will exceed your expectations with the industries highest quality 3.0 mil super durable, easy weed, easy peel vinyl sheets compatible with most popular craft cutters including Cricut, Silhouette Cameo, Brother ScanNCut, Craft Robo, Pazzles inspiration vue, Graphtec CE6000light and more. EXTREMELY DURABLE EVEN IN OUTDOOR APPLICATIONS: Our product has undergone extensive testing and we are confident that when applied to a clean, smooth, dry surface your craft will meet or exceed your performance expectations and bring you many years of pleasure. INFINITE POSSIBILITIES AND USES : Our product can be used in as many different ways, different projects & different surfaces as the creative crafter can imagine. We've seen them on mailboxes, picture frames, recreational vehicles, cars, store front windows and much much more. PREMIUM QUALITY: ProZone Art is proud to offer our product crafted with the highest quality materials to the highest quality standards every crafter should expect. These standards have addressed the problematic issues common to other brands. With ProZone vinyl sheets you can be confident that your weeding and peeling challenges are behind you. No more defective or damaged sheets causing cutter feed difficulties. ProZone Art vinyl sheets is your best choice, join our family today. 100% STRESS-FREE LIFETIME GUARANTEE: Purchase any of our products with 100% risk free confidence. If you are not completely satisfied with your purchase, contact us and we will replace the product or refund your money, NO WORRIES!. LEAVE EVERYONE WONDERING HOW YOU DID IT! 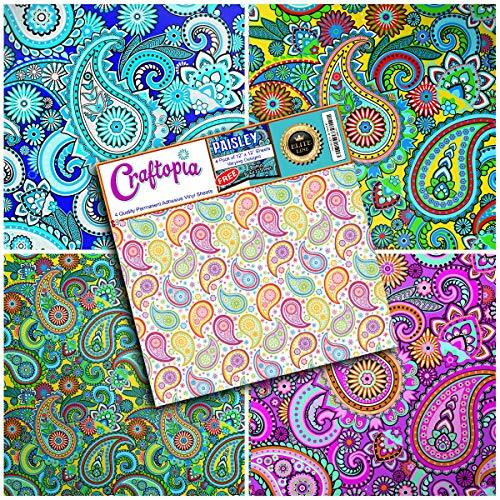 Your Art and Craft projects will grab serious attention with Craftopia's Beautiful Paisley Vinyl Sheets-Decorate your crafts, gifts and projects with world's most popular patterns-lily pulitzer, simon and garfunkel look. INSPIRE YOUR CREATIVITY AND DESIGN eye-catching backgrounds, photo frames, borders and stickers in a snap. These sheets die cut and punch perfectly. Try using with decorative scissors too for added flair. With vibrant colors and patterns to choose from, everyone will find a favorite. Add a splash of colors on scrapbook layouts, gifts, handmade cards and invitations, jewelry, paper crafts, kid's projects, collage art and more. ACID-FREE AND PROUDLY. We guarantee you'll love them or YOUR MONEY BACK! 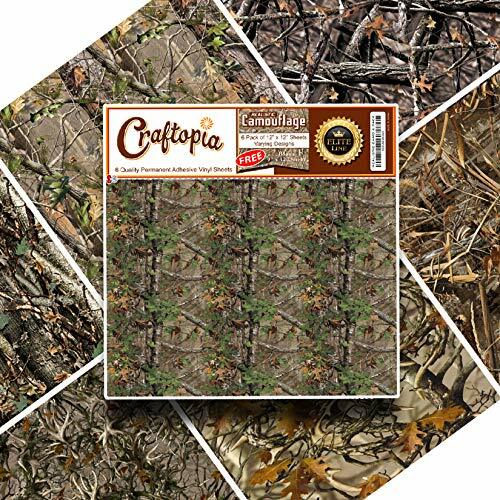 Your projects will grab serious attention with Craftopia's Realistic Camo Vinyl Sheets-Achieve dazzling realistic camouflage effects instantly with these nature-realistic designs. INSPIRE YOUR CREATIVITY AND DESIGN eye-catching backgrounds, photo frames, borders and stickers in a snap. These sheets die cut and punch perfectly. Try using with decorative scissors too for added flair. With many colors and patterns to choose from, everyone will find a favorite. Add a splash of color on scrapbook layouts, handmade cards and invitations, jewelry, paper crafts, kid's projects, collage art and more. EASY TO USE & ACID-FREE! We guarantee you'll love them or YOUR MONEY BACK! 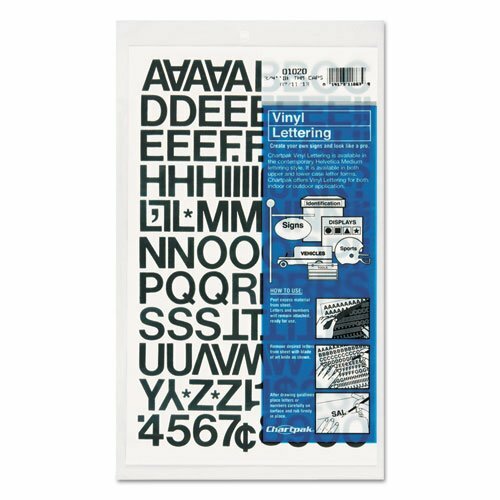 Chartpak Self-Adhesive Vinyl Capital Letters and Numbers are perfect for creating displays, signs, posters and identifying property. Made of water-resistant material, these letters and numbers can be used outdoors, including use on vehicles and boats. All characters are in Helvetica font and have permanent adhesive. Punctuation and monetary symbols Included. 1/2 inches high, Black, 201 total characters. Made in USA. Chartpak prides itself on integrating brands that affect the way we work, the way we learn, and the way we create. 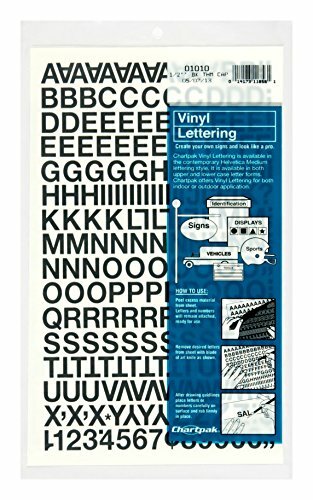 Chartpak Self-Adhesive Vinyl Capital Letters and Numbers are perfect for creating displays, signs, posters and identifying property. Made of water-resistant material, these letters and numbers can be used outdoors, including use on vehicles and boats. All characters are in Helvetica font and have permanent adhesive. Punctuation and monetary symbols Included. 1/4 inches high, Black, 610 total characters. Made in USA. Chartpak prides itself on integrating brands that affect the way we work, the way we learn, and the way we create. Chartpak Self-Adhesive Vinyl Capital Letters and Numbers are perfect for creating displays, signs, posters and identifying property. Made of water-resistant material, these letters and numbers can be used outdoors, including use on vehicles and boats. All characters are in Helvetica font and have permanent adhesive. Punctuation and monetary symbols Included. 3/4 inches high, Black, 94 total characters. Made in USA. Chartpak prides itself on integrating brands that affect the way we work, the way we learn, and the way we create. *Settings may vary based on blade condition and age of machine. Peeling the clear pet film after the vinyl turns cold, just in 15-30 seconds later for the vinyl to cool down. *If any part of the iron on vinyl lifts off, repeat the steps above until you can peel off the clear backing without lifting up the vinyl. If you are not satisfied with heat transfer vinyl , we promise will issue a full refund. It's not just a promise, it's a matter of our brand integrity. Prevent surface scratches and stains on furniture, counters and floors with nonabrasive and moisture-absorbent cork coaster tiles. Slimmer than felt pads at just 2mm thick, they act as discreet buffers on the bottoms of flower pots, drink coasters, trivets and ceramic figurines, deterring condensation rings and scuffs to wood flooring and table tops. Because of their natural noise-dampening capabilities, multi-functional cork squares and circles also spare your ears from the annoying sounds of items being scooted across surfaces or making clattering noises on glass tabletops. Our cork tiles and circles feature powerful 3M Adhesive for a strong, reliable bond with most surfaces. They apply quickly and easily by simply removing the backing paper and pressing the cork tile to the target surface. Pieces are pre-cut for your convenience, with cork squares measuring 3.94" x 3.94" and cork discs measuring 3.54" in diameter. For smaller projects, use a craft knife to custom-cut cork pads without chipping or breaking. Cork is one of the planet's most renewable and sustainable natural resources. Only the bark of the cork tree is stripped to make our adhesive cork coasters so the tree itself will continue to live and thrive, in many cases for up to 300 years. Biodegradable and non-toxic, these environmentally friendly corks let you beautify and protect your home with peace of mind. Help your home and your housewares peacefully co-exist. 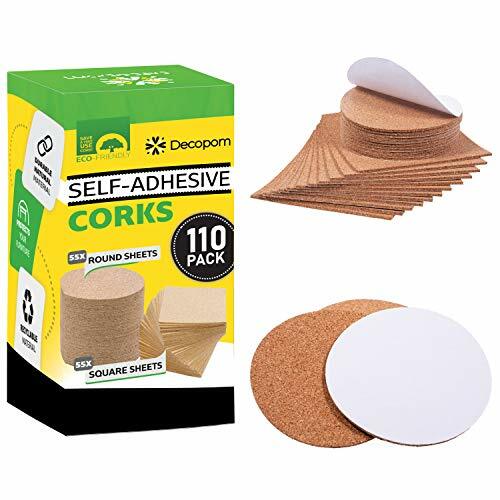 Add Decopom Self-Adhesive Cork Coasters to your cart today. 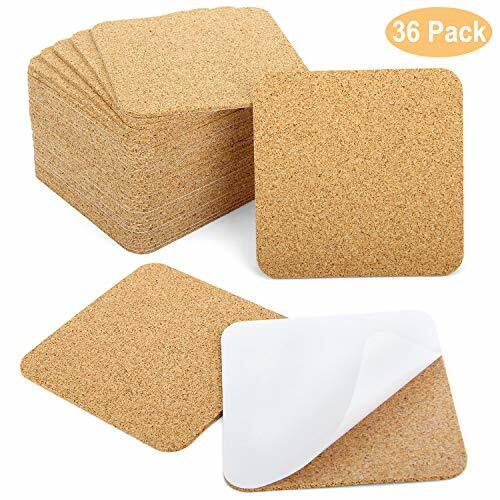 110 PIECES of premium-quality adhesive-backed cork coasters include 55 cork squares that measure 3.94 x 3.94; and 55 cork circles that are 3.54 in diameter. Each high-density cork coaster piece is 0.08 thick to allow for lightweight flexibility, chip resistance and long-lasting durability. AGGRESSIVE 3M ADHESIVE permanently bonds to ceramic, slate, wood, aluminum and other surfaces. Give stone coasters, glass vases, metal trivets and other home decor items a safe, non-abrasive backing that won't damage your tables or countertops. DEADEN SOUNDS for a quieter, more serene home or office. Smooth, gentle cork tiles eliminate the annoying clinking and scraping noises of ceramic vases and stoneware being pushed across glass, laminate, wood and slate. HIGHLY SUSTAINABLE natural cork is biodegradable and environmentally friendly. Because only the bark of the cork tree is stripped to make cork, the cork tree can continue to live and grow. Cork trees live for 100-300 years, making cork an extremely renewable material. Size: 30 x 25cm/11.8 x 9.8"
Scope of application: suitable for cotton, uncoated polyester, poly/cotton blend, leather, etc. 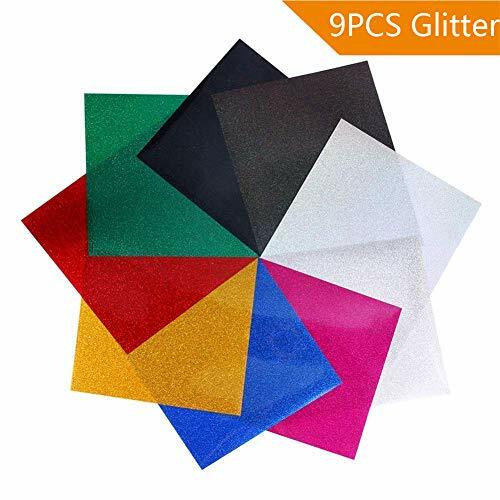 Ready to Cut 9 Pack of Assorted Color Premium Glitter Heat Transfer Vinyl Sheets with 1pc Heat Insulation Paper. Each HTV Sheet is 12"x 10". Easy to Weed Our glitter heat transfer vinyl using silicone adhesive substrate, it can be positioned and reset, high temperature resistant without degumming or deformation. Adhesive layer keeps small details steady in transfer. Easy to grab one corner and pull, leaving the image intact. Save your much time! Excellent Durability It is precision coated with synthetic materials, with great ink absorption, not peel, crack or fade. It preserves shape and vibrancy of the color even after repeated washings. Wide Range of Use Suitable for icon production in various ceramics, such as coffee mugs, and ideal for personalized clothing customization. Our glitter vinyl applies to Cotton, Polyester, Poly/Cotton blends, Leather, Rayon, Viscose and more. 9 Fashion Color Golden, Dark Green, Red, Rose Red, Lake Blue, Black, Laser Black, Laser Silver. Freely Color Matching, TO Play DIY Creativity. 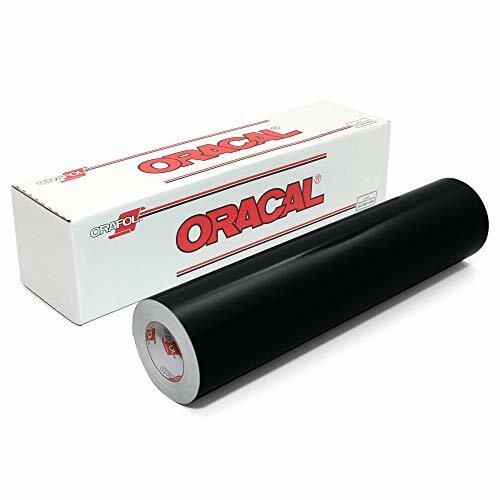 [Ready to Cut] 1 Roll 12 Inches by 15 Feet Black HTV Vinly Premium Iron On Heat Transfer Vinyl. [Excellent Durability] It is precision coated with synthetic materials, with great ink absorption, not peel, crack or fade. It preserves shape and vibrancy of the color even after repeated washings. [Wide Range of Use] Suitable for icon production in various ceramics, such as coffee mugs, and ideal for personalized clothing customization. Our glitter vinyl applies to Cotton, Polyester, Poly/Cotton blends, Leather, Rayon, Viscose and more. [Eco-Friendly Heat Transfer] Quickly and easily apply the adhesive backed vinyl to fabric using a hot iron or heat press; our materials are SGS certified eco-friendly and are safe to wear. 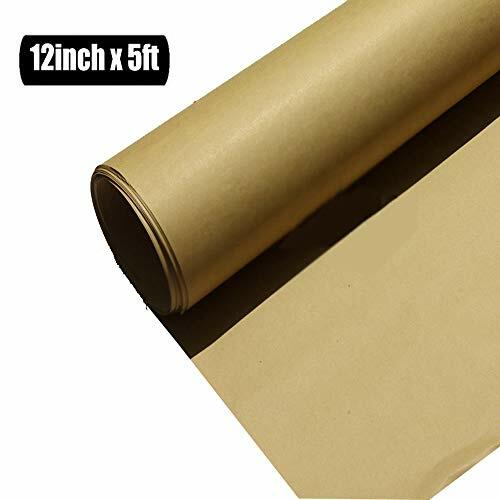 [Money Saving] Each heat transfer vinyl roll measures REAL 12 x 15FT. 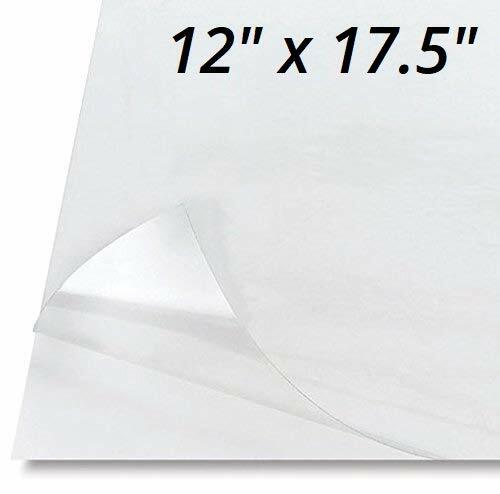 Perfect for 12x12 and 12x24 cutting mats. 5 Pack - Adhesive Backed Glossy Stencil Sheets, Transparent Clear Plastic Film Sticky Back Self-Stick, Great Stencils for Painting, 12" x 17.5"
5 Pack - Glossy finish polyester film with adhesive back, 2 Mill Thick, 12" x 17.5"
It's unsurpassed for its strength, stability, and flatness for Painting on Wood Etc. 3.78"x3.78" cork squares with strong self adhesive sticky on the back The square cork coasters are made of quality cork with strong self-adhesive sticky on the back, which are durable and sturdy, are soft to touch, not easy to break. CUT INTO ANY SHAPE YOU WANT: The Self Adhesive Cork Squares work great for DIY coasters, you can turns a standard 4 x4 ceramic or glass tile into coasters with them. You also can easily cut the shape you want. The right size allows you to place it on a variety of items. Make Life Memorably Magnetic with Customizable, Adhesive Magnet Sheets! These peel-and-stick magnet sheets quickly transform your priceless photos, art and milestones into high-quality magnets for your fridge, locker or filing cabinet. They're easy to use and can be cut to size for any arts and crafts project. Celebrate Holidays, Occasions and Everyday Life with Magnetizer Sheets. Life is full of memories you want to hold onto. 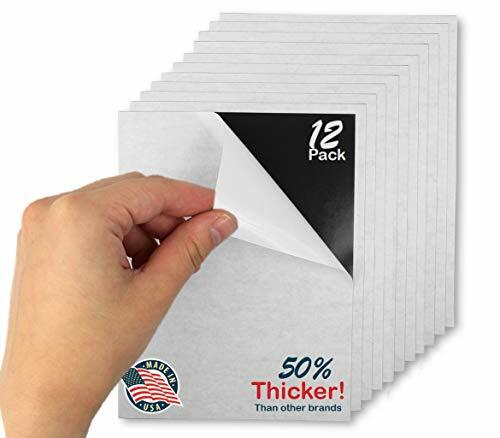 Always keep them in sight with these adhesive magnetic sheets. Transform children's drawings into presents for grandparents, or commemorate life's next big event. Great for gifts, preserving school pictures and sending memorable wedding or graduation announcements! Easy to Use and Customize for Quick DIY Projects! Make your save-the-date cards unique in no time! Our magnets are easy to use: simply peel back the protective liner, apply the magnet to your keepsake, and cut the sheet to your preferred shape. Choose smaller sheets in common photo sizes, or larger sizes to create multiple wallet pics or business cards at once. Strong, Flexible Magnets Great with Any Magnetic Surface. Our magnets withstand extreme heat, cold, wind and rain. They stay on strong, even when curved around rounded surfaces like cars or bottles. Forget about scraping stickers off your bumper with these heavy-duty magnets. Great for Storing Art Supplies Like Die Cuts. Keep stamping dies and other small, metal materials organized and safe with our versatile sheets. What's in the Box? 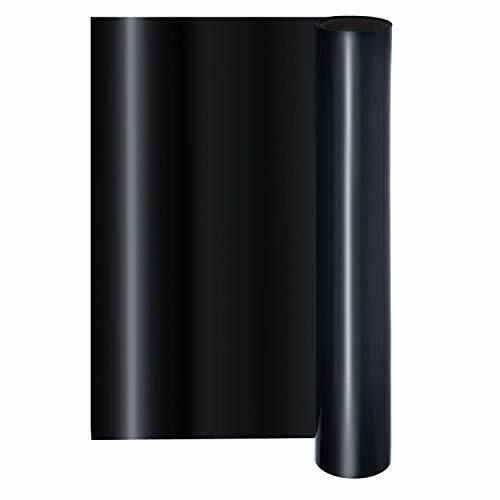 You will receive 30 - 8.5 x 11 inch adhesive magnet sheets. MAGNETIZE YOUR MEMORIES! Our easy magnetizers transform art and photos into refrigerator, desk or car magnets. Great for Christmas pics, wedding save-the-date invites, and other memorable gifts. EASY TO CUT FOR ANY JOB! Our magnet sheets are easy to personalize. 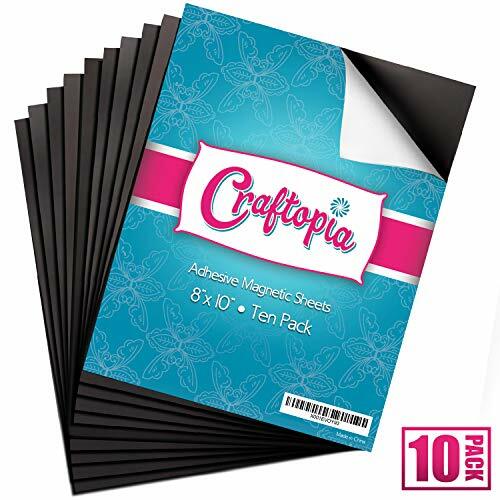 Simply peel back the adhesive, apply whatever you want to magnetize, and cut the magnetic sheet to your desired shape. GUARANTEED FOR LIFE. 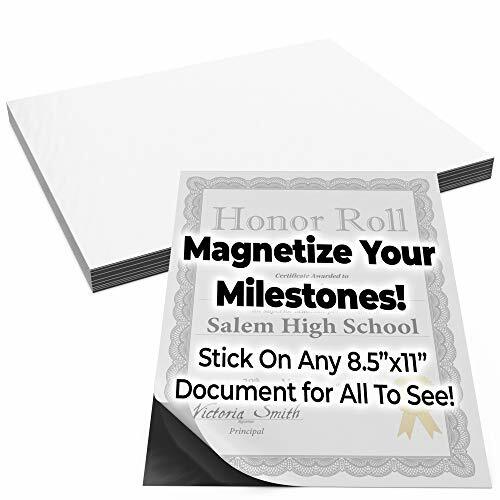 We offer a No-Nonsense Lifetime Satisfaction Guarantee on all our magnet sheets. If at any point you're not 100% happy, just send us an email, and we promise to make it right! OUR DURABLE, FLEXIBLE MAGNETS ARE BUILT TO LAST. Our magnets withstand water, wind, heat and cold, so you can rest assured that your cards will stick to fridges, cars and file cabinets easily. STORE AND ORGANIZE COMPLEX DIE-CUT STAMPS. Keep your stamping patterns decluttered with our magnet sheets. Don't worry about mixing or breaking craft supplies! Great for organizing small parts. Neon Series Heat Transfer Vinyl Brings Your Designs to Life by Adding Some Glamour!The neon colors are vibrant and shiny! Why have a plain design when you can bling it out for maximum appeal? Pumpkin Brother Neon Heat transfer vinyl is CPSIA Certified so that even kids clothing can look amazing. Perfect for jersey, bags and other fabrics. Note: It can be used as a top layer on other materials. Not recommended to be used as a bottom material. Thanks for your interest in Pumpkin brother HTV materials. Hope our product can help you enjoy your diy clothes! For more materials, just please visit our Amazon store. We will update HTV materials every week! 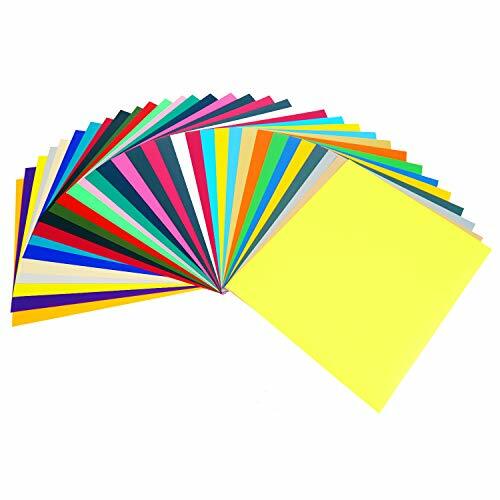 5 Sheets of fantasic yellow neon htv colors. Each sheet is approximately 10" x 12" (1 foot). Easy to cut ,weed and press, heat transfer or Iron on Vinyl . Materials are imported in Korea and have first - class quality. Pumpkin Brother neon HTV offers excellent durability, even after repeated washing, it doesn't fade. Suitable for a wide range of fabrics such as Cotton, Polyester, Cotton/Poly Blends. Use to diy your own clothes! Can be use in cutting machines such as Cricut,Silhouette Cameo, Portrait, Curio, Brother ScanNCut, CM100DM, CM250,CM550DX, CM350R, CM350, CM650W,etc.